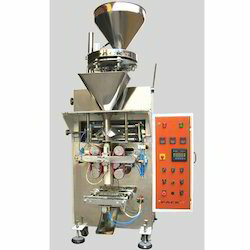 Leading Manufacturer of snack food packing machines, pulses packing machines, spices packaging machines and automatic bhujia packing machines from New Delhi. 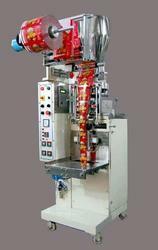 We have locked in offer an extensive variety of Snack Food Packing Machines. The offered machines are high in class as these are sourced from the most dependable vendors of the business. The machine depends on PLC control framework and is easy to work. Over the past 2 decades, we are engaged in manufacturing and exporting different kinds of FFS Intermittent Granular Products Packaging Machines. 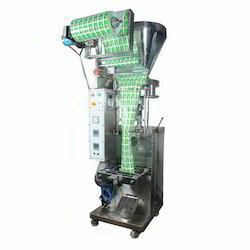 These machines are widely used in the packed food industry to pack peanuts in air-tight packaging. Each machine is constructed using superior grade raw materials and components in a cost effective manner. Unitek Spices Packaging Machines is known for rugged construction high performance and reliability to achieve high output both now and in years to come. Relying on our extensive domain experience, we put forth a high-quality range of Automatic Bhujia Packing Machines. Designed and developed as per the prefixed industrial standards, these machines are available in various specifications. Moreover, we custom-built these machines in accordance with the diverse needs of Bhujia producing companies. Our high-quality standards have helped us earn the patronage of several clients. Clients can avail these machines from us at reasonable prices.